Carn Euny Fogou, Nr Penzance, Cornwall. England. Celtic Britain published by Orion. The prehistoric village settlement of Carn Euny is over 2,000 years old. There is evidence of an earlier occupation, but the site is primarily Iron Age. 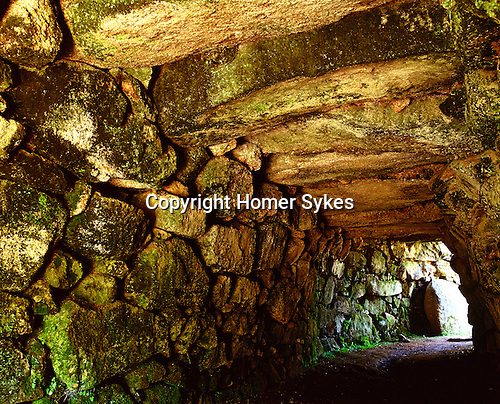 This underground cave in Cornish Fogou original purpose is unknown, and was entered by a small narrow 'creep' passage.